Discussion in 'Cars in General' started by GTPNewsWire, Jan 30, 2019. This article was published by Joe Donaldson (@Joey D) on January 30th, 2019 in the Car Culture category. It looks...odd. I kinda dig it actually. If I had more money than sense and tons of garage space, I could see this being an interesting conversation piece, if nothing else. I want to know why it’s so slow given that it comes with 300 bhp. Is the drivetrain extremely inefficient? Is it limited because the handling is so poor at high speeds? Does it produce gigantic amounts of aerodynamic drag? Did they forget to add the last 2 or 3 gears? This or a flying car? Would you really want to be seen in that abomination? I'd rather take a normal car and plunge to the bottom of the lake. 44mph is pretty fast for an amphibious vehicle. It’s pretty slow for a 300 bhp vehicle. I don’t believe it’s due to aero drag, so what is it? Extreme power losses in the drivetrain? On the water, it's the fastest amphibious vehicle you can buy. It's slow on land, presumably, due to the transmission and gear ratios. 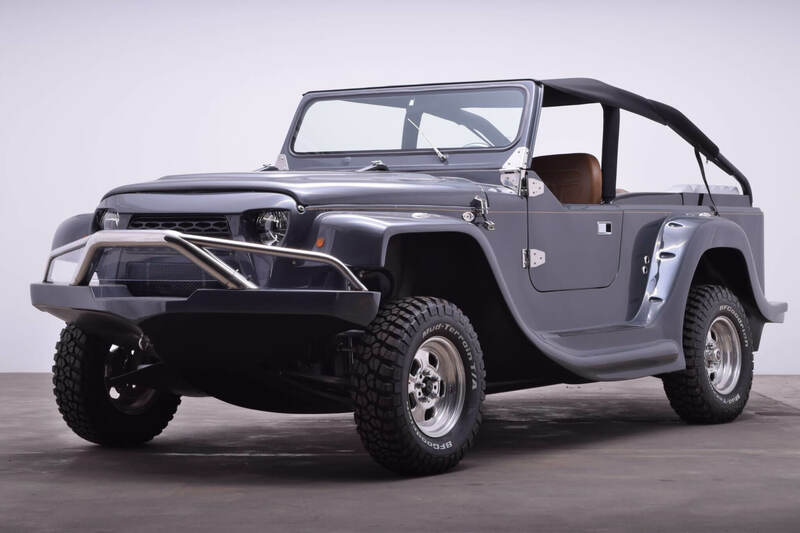 It uses a modified VW Bus transaxle similar to the ones found in dune buggies. One would think the photos would make that pretty obvious. bloodyboyblue and eran0004 like this. It does 80mph on land, per the article. Would you really want to drive this thing any faster than that? That transfer case doesn't appear to utilize a reduction gear, but the shortest stock final gear used in those 091s, if memory serves, was a 4.57 and I have to imagine it'd get pretty buzzy at highway speeds even with those 30" tires.